Let us add your name, or maybe your company name to the bottom of this pre-woven design so you can attach it to your handmade garment. 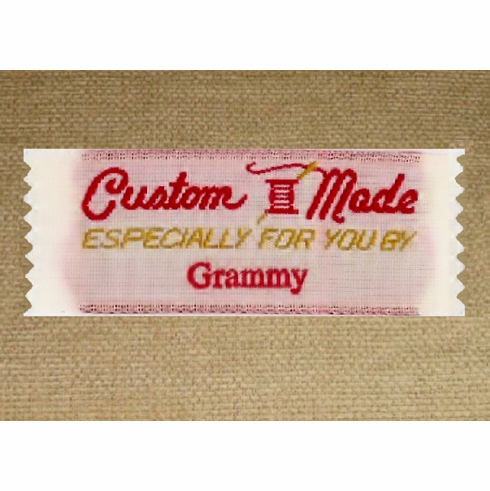 Label 7/8" x 2 1/4" or (22 mm) x (57 mm). Copyright 2007-2019 Giftkone.com All Rights Reserved.